staff at The Bartlett School of Architecture, UCL. House of Flags paid tribute to the diversity of the nations taking part in the 2012 Olympics and Paralympics. A total of 206 plywood panels, together depicting the flags of all participating nations, were combined like a jigsaw to create a small building on Parliament Square. The architectural piece expressed ideas of identity, diversity, unity and equality: it made a matrix portrait of multi-ethnic London and the cosmopolitan world. Research into the relationships between architecture, vexillology and international celebration underpins the project, which drew inspiration from Charles and Ray Eames' 'house of cards' and re-examined it at a larger scale. 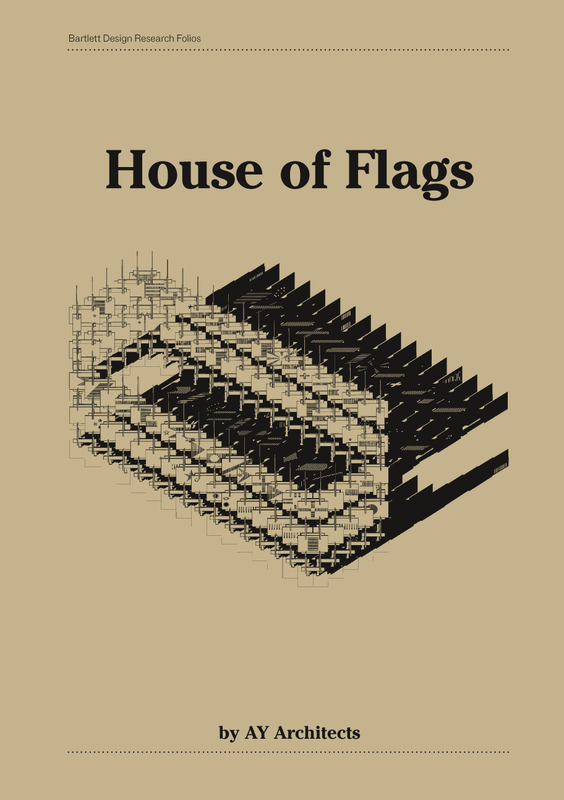 As an architectural intervention into a politically charged site, House of Flags examined how a building can act as an imaginative mediator between political representation (flags, the Houses of Parliament) and public performance (the Olympics, the protests for which the Square is known, the everyday use of the square). It aimed to create an engaging public backdrop that would encourage and enable participation, activism and celebration. The Greater London Authority commissioned the project following an invited international competition for the Mayor of London's Wonder series of architectural installations. It was installed on Parliament Square for seven weeks during Olympic and Paralympic Games. House of Flags invited participation and created an engaging backdrop for thousands of visitors at one of the most significant tourist destinations worldwide.